TD Joinery is able to manufacture any type of wooden window for a single or double glazed pane and in any type of timber requested. We produce period sliding box sash windows with weights or balanced springs. Windows can be arched, triangle or curved head as well as right angled. 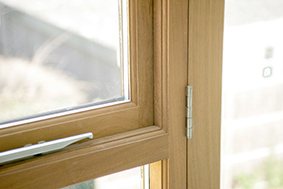 We also offer the choice of flush casement and storm proof windows. Traditional mullion windows are also available. We will match any existing profile or design to fit planning or conservation requirements or to meet with listed building regulations.